To say my Muse is fickle is an understatement. How else can I explain that, after having seven romantic thrillers published, I took a detour back to contemporary romance and offered e-publisher Ormiston Press three novels I’d written years ago and recently updated? 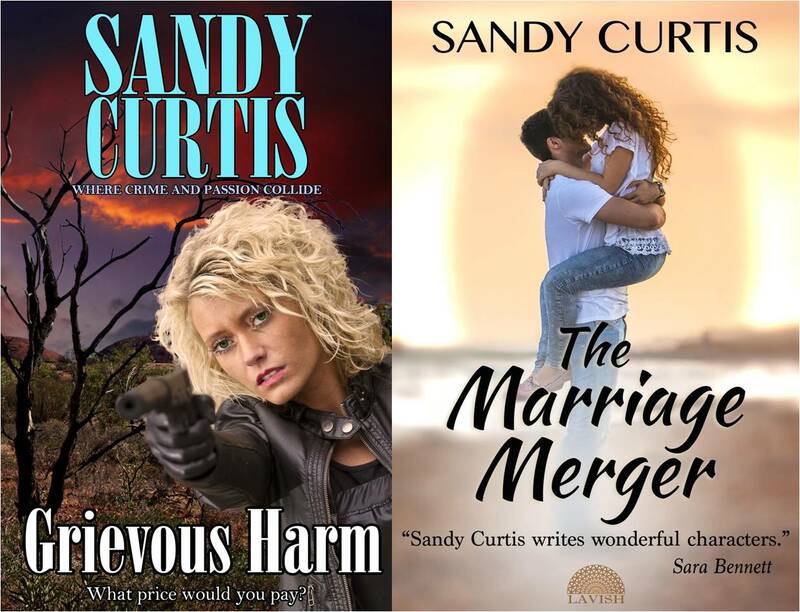 The Marriage Merger, No Cure For Love and A Tender Deception were published in May, June and July, and I was delighted with the wonderful response from readers and reviewers. The Marriage Merger had reached second place out of 80+ unpublished manuscripts in the former Emma Darcy Award and it’s wonderful to have Jenna’s and Braden’s story finally out there and touching the hearts of readers. To prove my Muse really is fickle, I have to confess that I’ve also written a women’s fiction (currently with an agent), have a rural romance half-written, and a past/present Australian saga in the planning stages. And there’s another romantic thriller vying for attention in my brain. This one follows on from Grievous Harm, published late 2014. But although my Muse likes to set me on various writing paths, the one constant in my stories is the love between my hero and heroine. His lips were soft, warm and gentle on hers, his hand light as a breath on her cheek. Her own hands pressed against the broad expanse of his chest and they reverberated to the swift thudding of his heart. The wetness of her clothing, the shrill song of swooping birds, the breeze rustling the eucalyptus leaves, all receded to nothing as sheer bliss invaded every particle of her being. An eternity seemed to pass. An eternity of such moving tenderness that, as Caitlin’s giggle drew them reluctantly apart, Jenna couldn’t tell if the moisture on her cheeks was dam water or tears. “Jenna …” Braden’s voice was husky, his hand fallen to her arm, trembling slightly as it brushed down to her fingers. His black hair, curled and unruly from the fresh water, tumbled into his eyes, eyes that held hers in such a swirling array of emotions that her breath caught in her throat. ‘Kate, if you jump every time you touch me, Dalton isn’t going to be convinced we are who we say we are.’ He placed his hands on her upper arms, a gentle touch that was also confident in the way his fingers moved in a slow caress, making her skin tingle even through the thickness of her cotton shirt. ‘When you break in a horse…’ His voice was soft, soothing, deep liquid tones that touched her in places his hands couldn’t reach. ‘You do it gently. First you get it used to you, to your smell…’ His head dipped so that his mouth hovered a whisper from her neck, his breath warm on her skin. Her knees began to tremble with the pure desire that shot through her. ‘Then your touch.’ The words slid like silk across her cheek, his lips lowering so that when they reached her mouth and lingered there in what was almost a kiss but not quite, the warmth between her legs flared white hot and she leaned into him so that the kiss became real. So no matter what story my muse might lead me to write, I can be assured it will always give me the joy that writing romance brings. It is encouraging to read the successes of more established authors as it is an inspiration to us lesser mortals that persistence in our written creativity can eventually lead to the recognition we crave to achieve.